November 1942. New York. 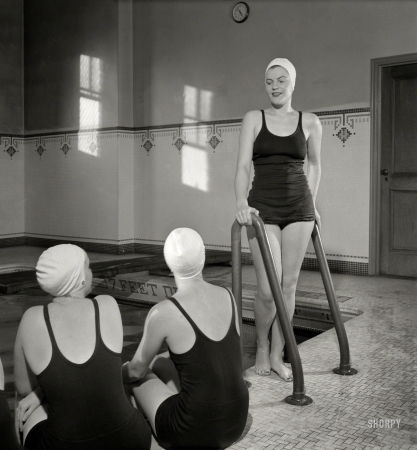 "Susan Petty and her fellow student nurses enjoy a swim and frolic in the pool."